Are you looking for a great company providing removals in Barnet and the surrounding areas? Perhaps you have a house move planned, an office expansion or a delivery in mind? 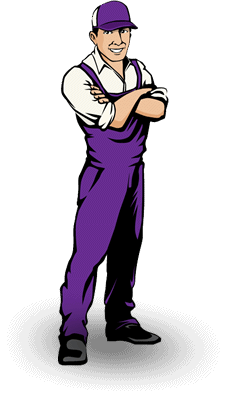 At Finest Man and Van, not only do we provide a man with a van in Barnet to suit you, but you can be sure that whatever you need us for, we will arrive on time, in a professional manner and fully equipped to get the job done properly. Our service providers are all fully trained and highly experienced, with knowledge of the Barnet area to make sure that your removals and transportations are as stress-free as possible. From local removals in and around the area of Barnet to full-scale relocations across the entire length of the United Kingdom; our partner vans are fully equipped, modern and more than capable of transporting your goods safely and securely. Perhaps you need a delivery service that you can be sure of; well, in that case, we offer urgent next day delivery services, emergency courier services, as well as collections and drop-offs from both Ikea and eBay. For long distance removals, we provide a van to suit you and we even cover bulk removals for a large number of items needing to get somewhere safely and securely. Visit http://www.finestmanvan.co.uk/services for more information on our services. 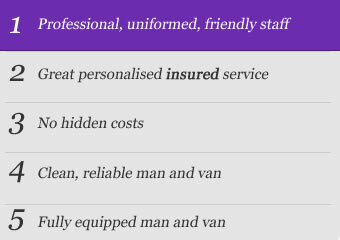 So why choose Finest Man and Van for all of your removal services in Barnet? Well not only do we know the area, but we have a great knowledge in the removal business, as well as plenty of skill to make sure that everything's taken care of efficiently. We have clear communication skills and perhaps best of all, even with all of our quality and skill level, we keep our prices fair. Just take a look at our customer reviews to see how helpful we really are. Could not have been better - the two gentlemen who turned up were extremely helpful, hard working and professional - it felt like they couldn't do enough for us. Another Amazing service, thank you very much Paul. You were so reliable, helpful and kind. People might get good service from other companies but they wont get best service that I have got with your company. Recommend to my friend and I will call you again. Thank you so much!